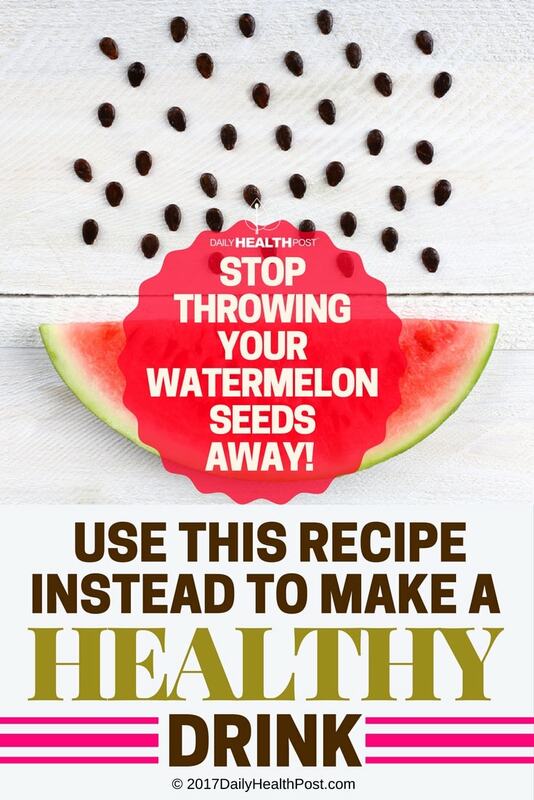 Stop Throwing Your Watermelon Seeds Away! Use This Recipe Instead To Make a Healthy Drink. Watermelon gets a bad rap as being a food relatively low in nutrients; most people assume it’s mostly sugar and water, but it actually has many potential health benefits, including asthma prevention, blood pressure regulation, and easing muscle soreness after particularly harsh workout sessions. But one component of the watermelon that is often overlooked is the seed, which has its own nutritional content and health benefits as well. Instead of spitting out the seeds, next time you enjoy a watermelon snack, consider saving them instead! Watermelon seeds are rich in protein, which has led to research on incorporating watermelon seeds into the diets of people in developing countries(1), who may not have access to more traditional sources of protein. An early report on the dietary use of watermelon seeds in India suggested that watermelon seeds might have cleansing properties due to their nature as a diuretic(2); more recent research confirms that in large enough amounts, watermelon seeds can have a diuretic effect, which can help with weight management as well as kidney and bladder health(3). Mild diuretics like watermelon seeds are often used in cleanse diets, such as the lemonade cleanse diet made famous by performing artist Beyonce. Watermelon seeds can be baked with salt for a protein-rich and tasty snack, which has a similar flavor and consistency to pumpkin seeds, or prepared in a tea to maximize its diuretic effects. Crush 4 tablespoons of fresh watermelon seeds using a mortar and pestle, or grind them up in a food processor. Cook for 10 minutes in two litres of water over high heat. Drink the entire two litres of tea over a period of two days for full effect. This tea is especially good for those with digestive issues, or those who are prone to urinary tract infections. So instead of opting for seedless watermelons – which are less flavourful than watermelons with seeds and are part of a relatively new strain of watermelon mass-produced for consumers – or spitting out the seeds and throwing them away, the next time you eat watermelon, consider saving the seeds to roast or brew in a tea. Your body will ultimately thank you for providing it with such a nutritious snack or beverage. 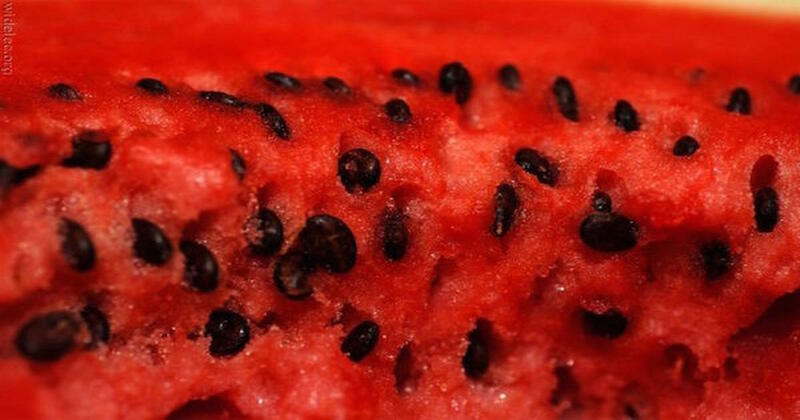 Latest Headlines » Nutrition » Stop Throwing Your Watermelon Seeds Away! Use This Recipe Instead To Make a Healthy Drink.